Anti-gun activist and full-time bully David Hogg believes he is the leading figure for the left after he was thrown into the limelight by the mainstream media after the school shooting in Parkland, Florida. Since then, David Hogg has bullied conservative pundits, pro-gun people, politicians, companies and has led boycotts against all of them, as well as small businesses and others aligned with the NRA. 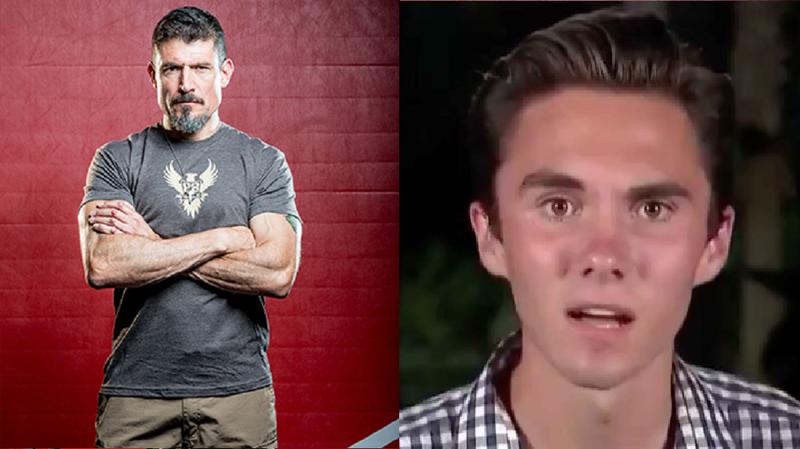 Hogg claims he is open for discussion, but we are yet to see him actually have back and forth debate or discuss any issue with anyone. he attacks immediately and calls for boycotts. Remeber a time when there wasn’t a school shooting every week? I don’t because I wasn’t alive. Hogg who’s uneducated on every subject he tweets out or talks about was once again called out on his ridiculousness. This time by Kris Paranto, a hero, and survivor of the Benghazi attack who fought off terrorists for 13 hours and saved dozens of lives. Kris rightfully Pointed out that Hogg’s generation was largely responsible for the rise in school shootings. Back when schools across America had gun clubs and shooting teams, we didn’t have mass school shootings. Many other Twitter users 100% agreed with Paranto’s sentiment and pointed to a lack of involvement by parents and school officials in regards to the rise of school shootings. Exactly! Thanks for putting the blame where it belongs on little #snowflakes from Hogg’s generation. Their little feelings get hurt and they grab daddy’s gun and start killing innocent people. Absolutely! Spot on. Kids back in the day used to go to school with their shotguns/rifles in their gun racks in back windows of their pickups, cause they were going hunting after school. N.E.V.E.R. heard of one of them going out, getting them and shooting up the school! Ever! Amen to that. I remember too. We respected others, life, God, and family, all the things millennials think don’t matter. Children were raised right. Parents were parents, not buddies.